The trick to doing SXSW right is finding the side projects of great bands and/or artists and getting to see them up close. Last year, my girlfriend was skeptical about seeing the Street Sweeper Social Club. After I revealed to her that Tom Morrello of Rage Against The Machine was leading it, she went and had a kick as time. 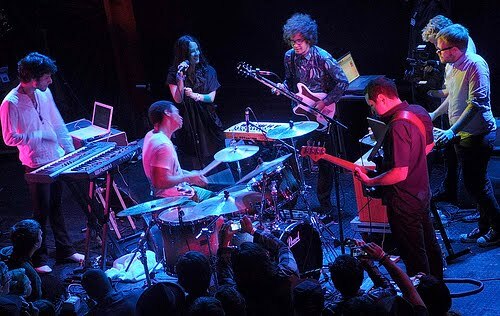 This year, I’m going to provide the same kind of sweet access by checking out the Omar Rodriguez Lopez Group. Omar Rodriguez Lopez is, of course, the force behind The Mars Volta. Welp, he formed this group way back in 2005 and have been releasing material under that moniker, or other forms of it like the Quintet, Quartet, etc, since then. Listening to ‘Un Buitre Amable Me Pico’ off soon to be released “Telesterion,” I can’t help but feel embarrassed. “Telesterion” is a compilation of works spanning Omar Rodriguez Lopez’s entire career and boy is there many an album. I hear Mars Volta all the way in this song and nothing else. Rodriguez Lopez has his own compositional voice and I love jacking into it. That’s why I’m embarrassed. I missed out on so much. I need to go back through all of this mind-blowing and brain-melting material. This may be my number 1 Showcase for SXSW. The last day of SXSW proved to be much chillier than what I expected down here in Austin, Texas. Winter wasn’t going out with a band just yet and on the first day of Spring, a cold northern wind and storm brought things back to winter like conditions. I speculated before the night time shows that the crowds would thin out. I was only partially right, which is a testament to all of the music fans who showed for SXSW. The first stop for the day saw us hit the Soho Lounge for an Mpress Records Showcase. The Meiko Canon played along and while they didn’t blow my lid off, the mix of folk and rock along with the female vocal marked a good start for concert going. After a quick detour to the day stage at the conference center, we hung out at the Hauge party tent. Nicad played and picked up the energy even more. The lead singer push his voice toward Weird Al Yankovic territory while the punk rock rythms flowed through. The Capital Records tent next door kicked off shorthly thereafter and I had a couple of drinks while watching Mackintosh Braun. My interest didn’t pick up until they played their last song. The synth and keyboard filled ambient noise washed over a baning drum set. It’s worth checking them out. I had a thirst for more food and drink so I went to the Aussie BBQ Showcase at Maggie Mae’s. Andy Clockwise cursed like a sailor and rocked out like a soldier. What better way to get your blood flowing to keep you warm than a nice hard rock set in the middle of the day? The show off the night was at the Billboard.com Bungalow. Street Sweeper Social Club brought down the tent with its funk infused rock and covers set. 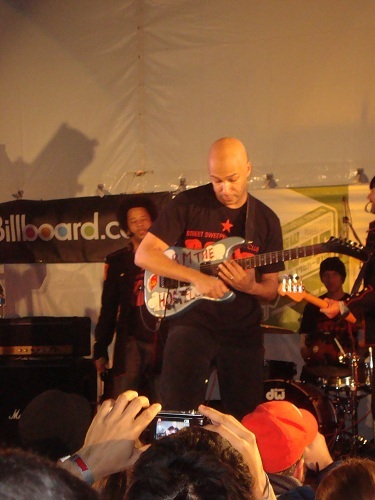 Little known fact: Tom Morrello of Rage Against the Machine just happens to be the guitarist. Oh and it showed too. That guy is an official guitar god in my eyes. Hoofing it over to the Alehouse, I was expecting some Celtic music from the Mighty Steph. What I got was a blues/country/irish mix of music that sat perfectly with the run down atmosphere of the joint. If I ever need to just get drunk alone in a dank bar, I will be sure to play the Mighty Steph when I do so. Finally, the last set of SXSW for me saw it being performed in the most fitting of places: the Driskell Hotel Cafe. The Wave Machines are a British band from Liverpool and they sound like the evolution of another Liverpool band, the Beatles. They had an impressive collection of drum machines, synths, and all things electric. But they also had the standard rock setup of drums, guitar, and piano. 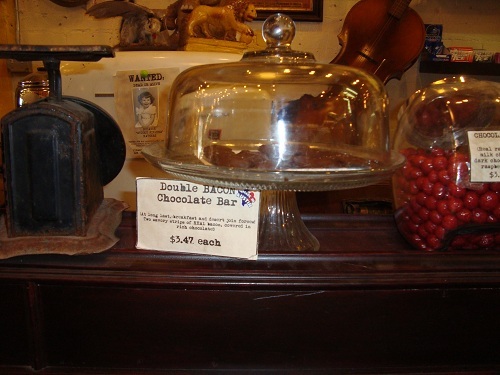 The didn’t go overboard on the instruments, however, picking and choosing the right piece for the right song. All of it smooth, poppy, and dancy. A great way to finish SXSW.